Isaiah and John the Baptist both call us to prepare the way of the coming Lord. John the Baptist looks to me like quite an anti-consumerist icon, making clothes out of camel's hair and eating off the desert land (mmm....bugs!). While John lived a simple life so he could focus on God, we don't have to live to those extremes. But we may need to make a change. 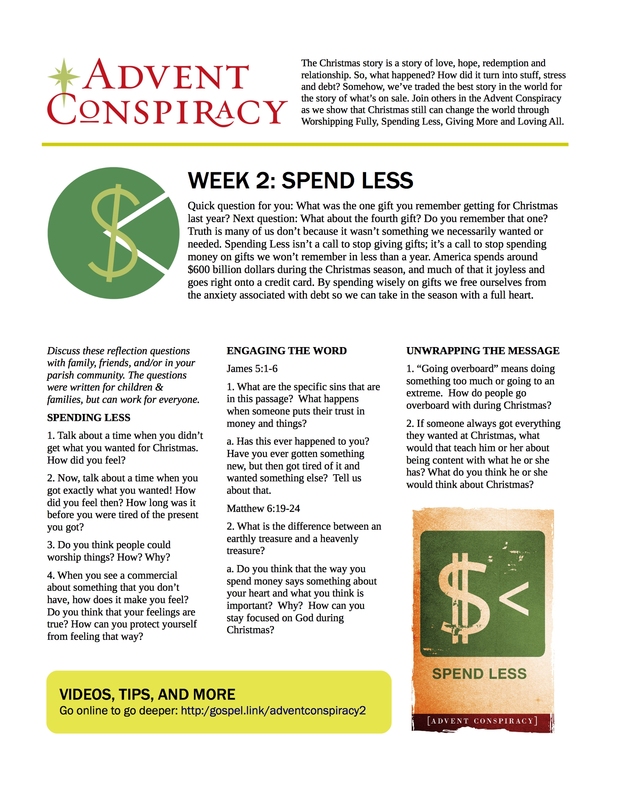 Can our over-spending get in the way between us and God? Between us really connecting with our family and friends? Between us and those in need?